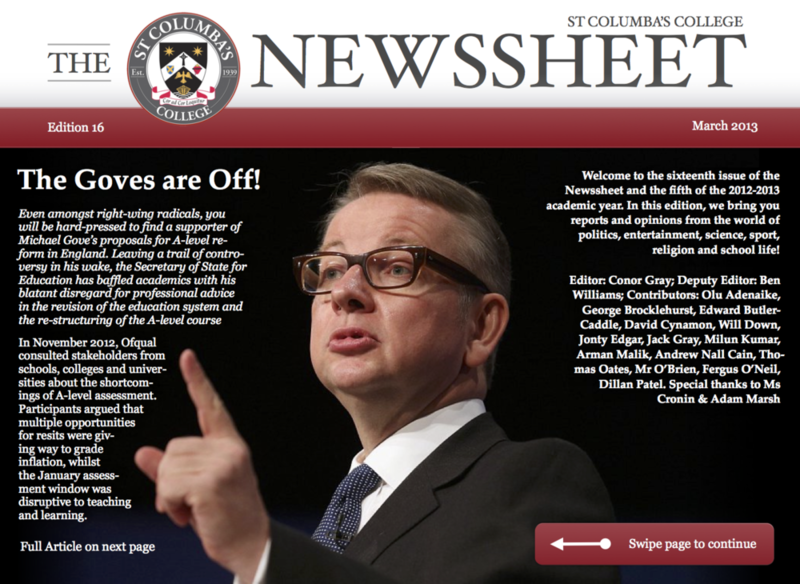 This project involved taking the St Columba's College school newspaper (The Newssheet) and brining it to iPad. 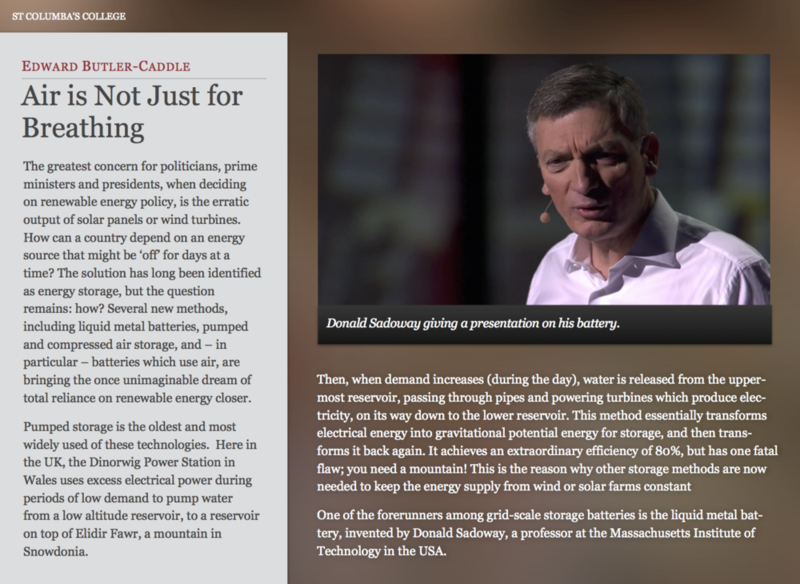 With an all new design, interactive features and exciting articles form students and staff, the Newssheet for iPad received lots of positive feedback. Several editions were made; downloaded hundreds of times from the iBookstore in Europe and the United States.